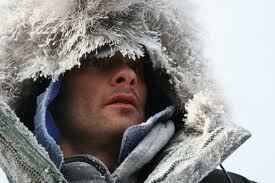 Ask just about any musher in the Iditarod how they track the race and they will say from checkpoint to checkpoint. A couple weeks ago I met a 2010 Iditarod rookie and she pulled out a laminated card with a chart listing miles to and from each checkpoint. She said this is how she knew what she was up against. When things got rough she would know its only “X” number of miles to the next checkpoint where she could rest her dogs (and possibly herself), grab a meal, re-evaluate and move on down the trail. Then you talk to veterans like 2012 Yukon Quest champion Hugh Neff, who is competing in his ninth Iditarod this year, and he will tell you that he knows the trail well enough now that he doesn’t worry about what checkpoint is coming up but who might be staying in one for their mandatory rests. The following is a chart of distances between checkpoints on the Northern Route which is ran this year and on even years.